English-speaking informants) is made of the flesh of corpses. bones at the back of the head and skin whorls are the prized ingredients. have been administered in a cigarette. the usual ceremonial treatments are unavailing." witchery way, the sorcerer need not personally encounter his victim. 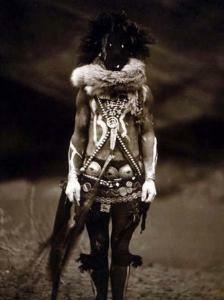 Wizardry refers to those practices that the Navajo Indians call adagash. technique for obtaining foreign women.